I'm told that this is Bonnasseur, a bass, but I have been unable to confirm this or discover anything more about him. The role, however, is less problematic. 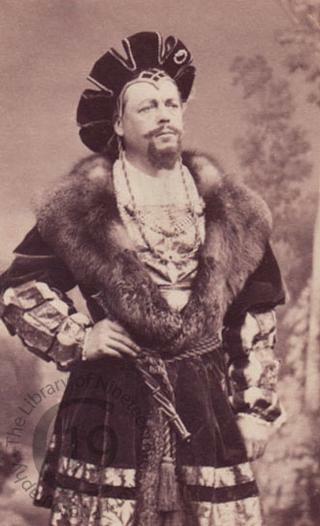 A portrait of Eugène Caron shows him in a similar costume and identifies the opera as Giuseppe Verdi’s Il Trovère. Set in Spain in 1409, the opera was based on the enormously popular drama El Trovador by the Spanish playwright Antonio García Gutiérrez. This particular production opened at the Salle Le Peletier on 22 September 1862.